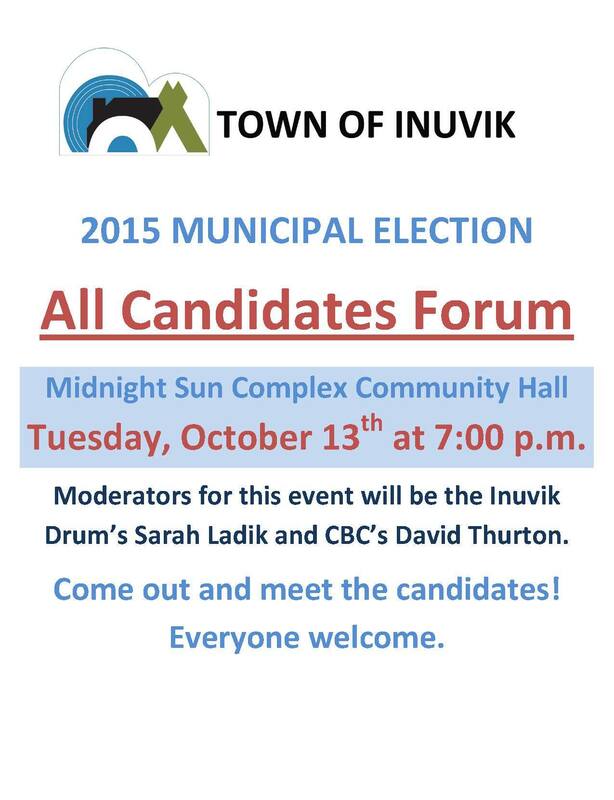 I will be co-moderating Inuvik’s all candidates municipal forum. Super excited. We will start by asking three questions, one each in the areas of the economy, infrastructure, and social well-being. Each candidate will have one minute to answer each of the three questions, followed by a five minute open debate period. Please keep responses and debate during this open debate period short. Moderators will be stick handling the conversation during this open period in order to give as many candidates a chance to expand, respond or raise other issues. Once these questions are done, it’s over to the audience. Depending on how things go, we will have about 30 minutes for the audience to step up to the mic and ask their questions. The audience is free to ask questions of specific candidates or the whole panel, we will simply ask that the audience is aware that other people have their own queries and that time is limited. Moderators will be guiding the responses to these questions. Afterwards, the candidates will each have one minute to make their closing statements. All of this should take about an hour and a half. Then we’re going to take a 15 minute break and then proceed to the mayoral debate between Jim McDonald and Derek Lindsay. Once again, we will ask a series of four questions, two for each candidate. Candidates will have two minutes to respond followed by a three minute open debate period. Please keep responses and debate during this open debate period short. Moderators will be stick handling the conversation during this open period in order to give as many candidates a chance to expand, respond or raise other issues. The audience will then have a chance to ask them their own questions, before they give their closing statements.